Cayenne pepper, garlic, onion and salt make this blend a must for grilling, seasoning or to bring fabulous flavor to any of your favorite recipes! Cayenne Pepper, Spices, Parsley, Salt, and Garlic. Bottle contains about 78 – 1/4 teaspoon(.9g) servings. Store bottle in a cool, dry place. I think now I have most or all of the season’s in the Desert Gardens collection. As you might guess the Cayenne Pepper seasoning adds a punch to your dished and it is hot so a little goes a long way. 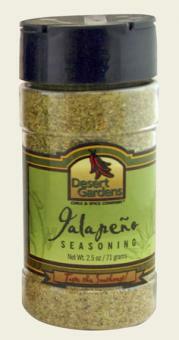 Great to add to your chili or any dish you want to elevate. Did a mention these spices are great on Pizza too? All of them are – throw out your red pepper flakes and put some real flavor on – Yum .